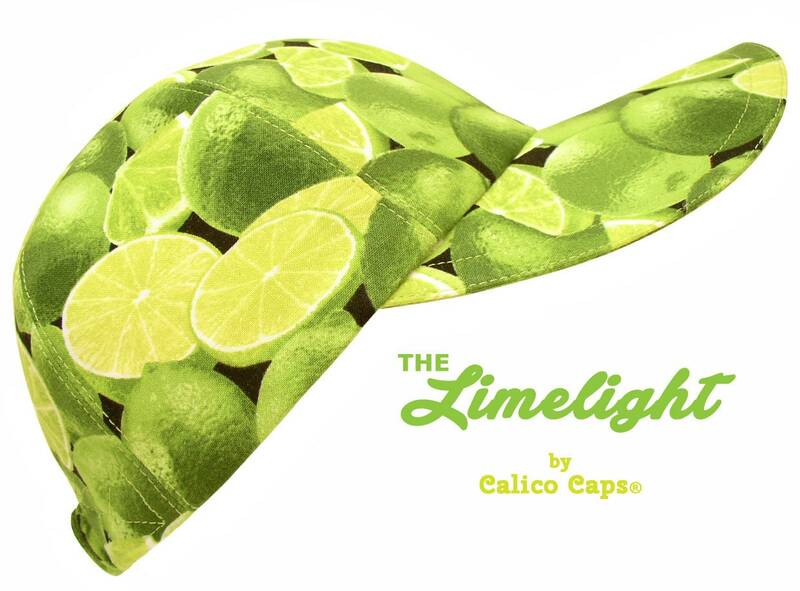 This baseball cap is called "The Limelight".... Bright green limes - slices, wedges and whole - on a black background. Brilliant, vivid shades of green from chartreuse yellow and lime, to kelly and emerald. Matching kiwi green topstitching with apple green grosgrain band on the white-on-white cotton floral print lining.